CAN09 – Six Pounder, 2/3 scale, 2-1/4″ bore, 250#, 43-1/4″ long. The 2/3 scale Six Pounder is probably the 3rd or 4th barrel put into production here at Hern, back in the mid-70’s. Common with these early sized guns is the 2-1/4″ bore. Long the most popular of the Hern cannon, this version has been supplanted by his little brother the 1/2 scale. Too large for UPS, upon paid order you will be contacted with a specific shipping quote to your desired address. This payment may be made over the phone or mailed in. For this size & weight, expect ~$270-$350 shipping. This barrel is a field gun, as you well know; but lends itself to a naval carriage if so desired as well! 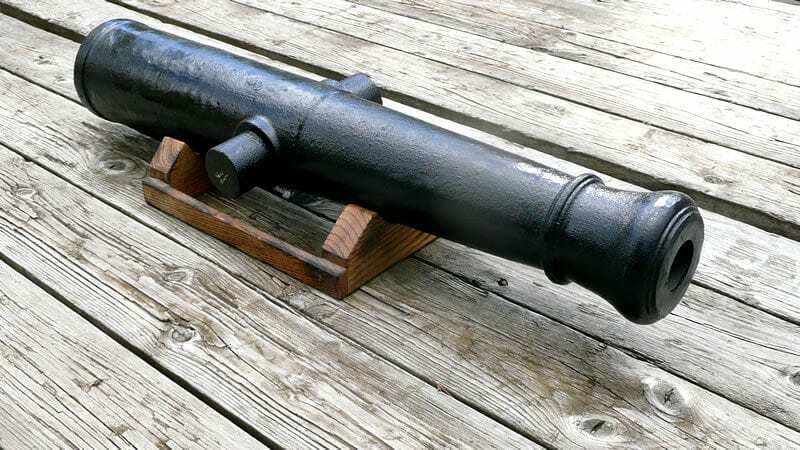 1841 SIX-POUNDER CANNON – The Ordnance Board of 1841 drew up the design for the 1841 6 Pounder cannon, which is one of the most common of all the artillery pieces of the Civil War. Originally a smooth bore, many were rifled to fire the James projectile, and are sometimes erroneously referred to as James Rifles. The smooth bore had certain advantages over the rifle; in the wooded terrain of the typical Civil War battlefield, range was less important than rate of fire, weight of shot, and the ability to fire canister. 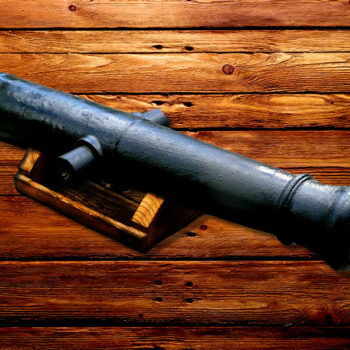 This gun was made by both the North and South; and was made in both cast iron and bronze, though bronze was common. Eagle Iron Works of Cincinatti, Ohio produced 161 during 1861-62, and Tredeger and most Southern foundries produced large quantities. 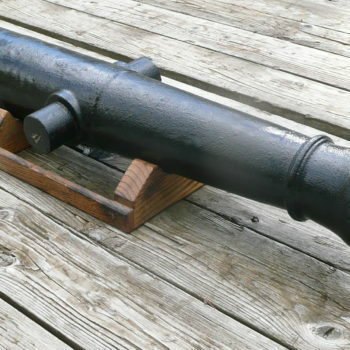 Due to lack of standardization, some Confederate Six Pounders look more like Ordinance Rifles than the pattern of 1841 in shape.